The A' Arts, Crafts and Ready-Made Design Competition is a freestyle annual, international juried arts & design competition open to work of arts, crafted designs, ready-made objects, installations and functional sculptures by professional and young artists, designers, design galleries, design and arts departments, and other art, craft and design oriented institutions in the creative industry worldwide. The A' Design Award for Arts, Crafts and Ready-Made Designs is not just an award, it is the indicator of quality and perfection in design and arts, the award is recognized worldwide and takes the attention of art & life-style media, professionals and interest groups. Winning the A' Award is a certificate of excellence for designers, an important milestone in your career. 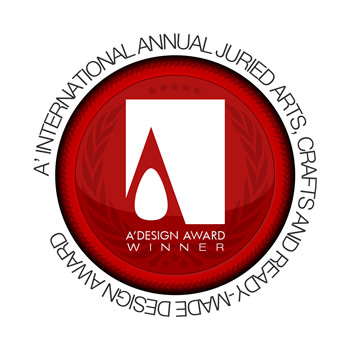 The winners of the A' Arts, Crafts and Ready-Made Design Award are provided extensive and exclusive marketing and communication services to promote the success of winning the A' Award. Furthermore, the winning portfolios will appear on the A' best designs book which is available worldwide, this book is furthermore distributed to the high-profile magazine editors, design oriented companies and relevant parties. The winning designs are also exhibited at our exhibition and the winners appear on magazines, newspapers, webzines and many other publishing mediums. The A' Arts, Crafts and Ready-Made Design Award is to attract the attention of life-style and arts media to awarded artists by means of creating publicity and dissemination and also to separate you from the rest of the actors in the arts and crafts field by honoring the winners with a prestigious award. Unlike some other arts and craft awards, winners are not obliged to make any further fees for winning the award and everything listed in the winners benefits will be provided free of charge. Furthermore, winners are not obliged to sell their works in the exhibition. Winners do not have to exhibit their winning works either (although the service will be offered for free). Winners will be able to sell their works during the exhibiton, and commissions will not be taken from works sold. Selling the works is not obligatory either. Winners will keep their works. Submit high-resolution, professionally prepared visuals of your art pieces, crafts work or ready-made designs online through our platform. There are two different judging criteria for the sub categories of the award. Works will be separated and judged under three awarding categories: the award for Arts, the award for Crafts and the award for Ready-Made designs. Nominated art works will be judged primarily on five key aspects such as uniqueness of the concept, idea execution, techniques used, uniqueness of the style, and presentation of the works. Design and craft oriented pieces will be selected according to form, functional and emotional aspects of the works; and the design oriented works will be further considered for their degree of innovation, aesthetic qualities, functionality and usefulness in addition to ease of realization and realization efficiency, ergonomics and human interaction properties. Selected winning designs will be exhibited physically at A' Design Award exhibition in Italy. The exhibition is free for winners to participate. Furthermore, winners will be published in the yearbook, this service is also free for winners. Award winners will be able to use a title that matches their nomination category: Such as "Ready-Made Design Award Winner". 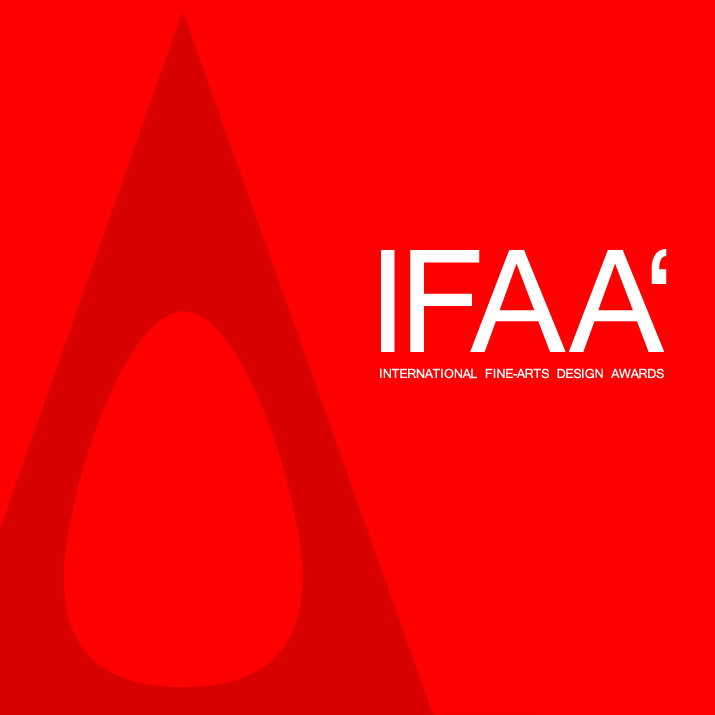 IFAA - The International Fine-Arts Design Awards, is a major design award category part of A' Design Awards & Competitions. Enter your art works and installations to compete for fame, prestige, publicity and international recognition.